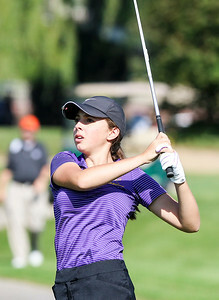 Sarah Nader- snader@shawmedia.com Crystal Lake Central's Birttany Reid hits from the fairway on hole one during Wednesday's Huntley Regional girls golf meet at Pinecrest Golf Club in Huntley October 7, 2015. Sarah Nader- snader@shawmedia.com Crystal Lake Central's Birttany Reid tees off on hole one during Wednesday's Huntley Regional girls golf meet at Pinecrest Golf Club in Huntley October 7, 2015. 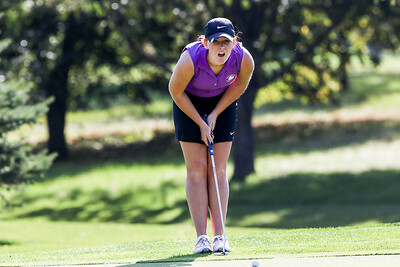 Sarah Nader- snader@shawmedia.com Belvidere's Maddie Sturm watches her ball after putting during Wednesday's Huntley Regional girls golf meet at Pinecrest Golf Club in Huntley October 7, 2015. 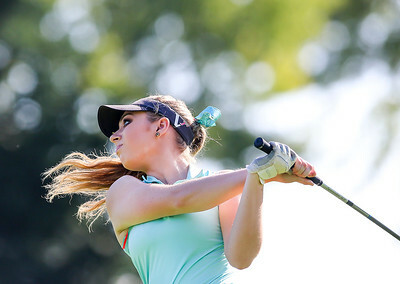 Sarah Nader- snader@shawmedia.com Crystal Lake Central's Lauren Kalamaras tees off on hole two during Wednesday's Huntley Regional girls golf meet at Pinecrest Golf Club in Huntley October 7, 2015. 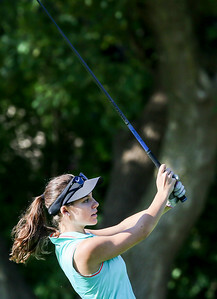 Sarah Nader- snader@shawmedia.com Jacobs' Stephanie Fiorentino tees off during Wednesday's Huntley Regional girls golf meet at Pinecrest Golf Club in Huntley October 7, 2015. Sarah Nader- snader@shawmedia.com Huntkey's Nicole Gordus tees off during Wednesday's Huntley Regional girls golf meet at Pinecrest Golf Club in Huntley October 7, 2015. Sarah Nader- snader@shawmedia.com Marian Central's Maria Mercurio tees off during Wednesday's Huntley Regional girls golf meet at Pinecrest Golf Club in Huntley October 7, 2015. Sarah Nader- snader@shawmedia.com Marian Central's Maria Mercurio lines up her ball during Wednesday's Huntley Regional girls golf meet at Pinecrest Golf Club in Huntley October 7, 2015. 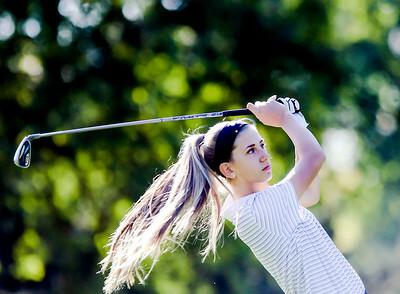 Sarah Nader- snader@shawmedia.com Marian Central's Sophia Archos tees off during Wednesday's Huntley Regional girls golf meet at Pinecrest Golf Club in Huntley October 7, 2015. 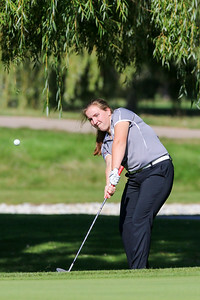 Sarah Nader- snader@shawmedia.com Prairie Ridge's Morgan Taylor chips to the green during Wednesday's Huntley Regional girls golf meet at Pinecrest Golf Club in Huntley October 7, 2015. 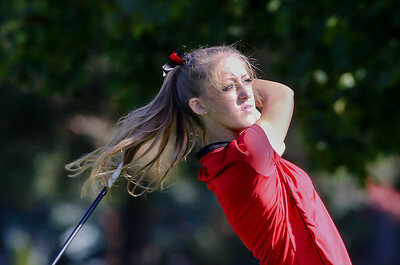 Belvidere's Maddie Sturm watches her ball after putting during Wednesday's Huntley Regional girls golf meet at Pinecrest Golf Club in Huntley October 7, 2015.